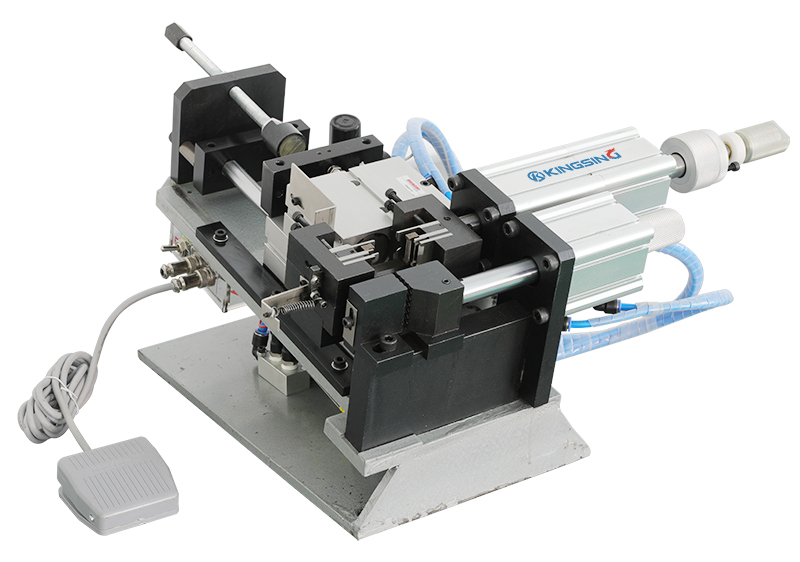 Introducing the New KS-W413 Pneumatic Outer Jacket & Inner Core Stripping Machine. This new machine is capable of processing between 3mm and 8mm Outer Diameter Multicore Cables. The KS-W413 Pneumatic Outer Jacket & Inner Core Wire Stripper is effective with PVC, Neoprene, Rubber and comparable insulations. Please note, we will require your cable sizes and possibly samples for blade sets as these are manufactured to suit your cable type and sizes. Suitable Wire Diameter: 3-8mm O.D.